First of all site administrator has to define general settings that will be applied to tagging system. 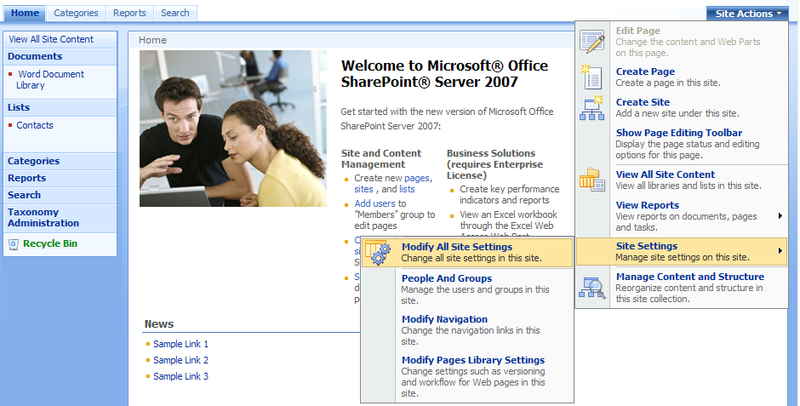 Go to “Site Actions – Site Settings – Modify All Site Settings”. Now roll down and follow the link “Virto Tagging Main settings”. 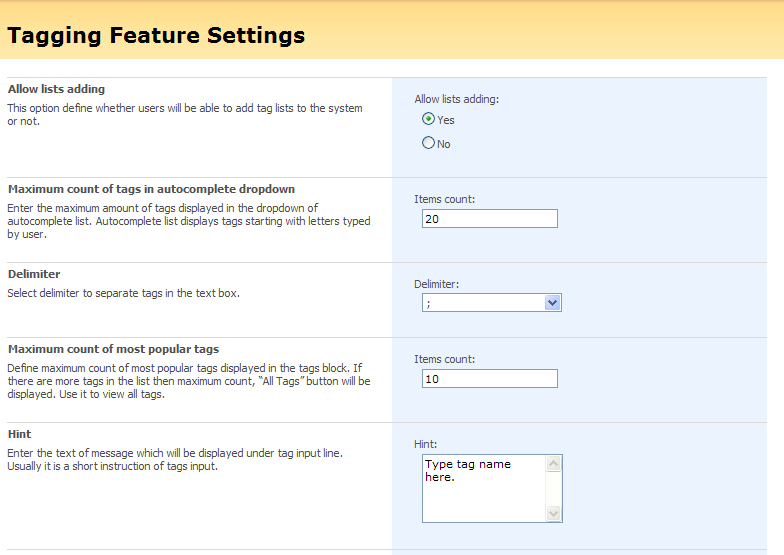 On the displayed page define the settings for tags.